Well the M3’s came in today. Not even close! 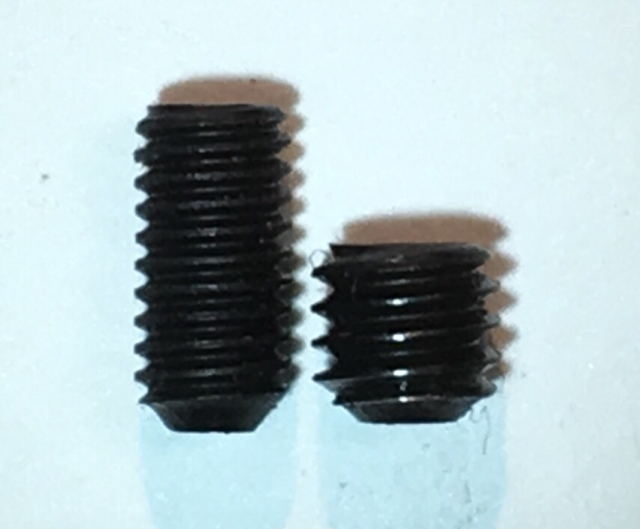 Still waiting on a response from TruGlo but for 2 bucks more I think I’ll try a Standard set screw. The Rusty Bolt Shop is AMAZING. Wow. Big difference in size. Did the threads fit at least? Thanks for the update. Ha, no, the M3 slid right through the threaded hole in the sight. The 6mm is actually just a tad too long, so the #4-40x3/16" will work out well. ETA: Looking at their pic, the #4-40 doesn't seem as big as my set screw... We'll see. 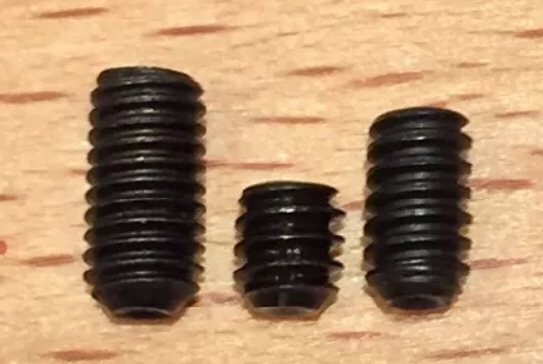 ETA2: I ordered a couple M4 x 6mm (0.7) set screws as well. My money is on the M4. Pretty sure I need an M4. I thought I would like these on my EDCs (P-01 and 75c). I took em off pretty quick and put Dawsons back on. The front sight was just sooo daggon big. TG finally responded... 6-40 x 1/8”. Lulz. Nothing I ordered was right. 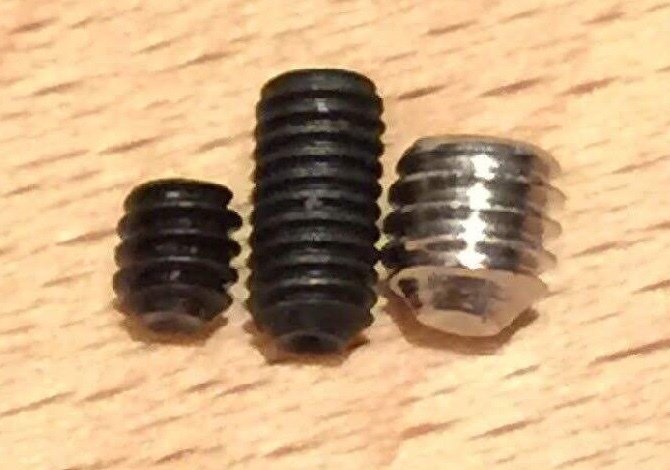 I guess you could have taken the factory TG screw to Home Depot to get the proper diameter and thread count. If TG says 1/8" long, then I guess you need a tad longer than that maybe 4mm (1/8"=3.175mm) Going to 3/16" may be too long? Yeah coulda/shoulda. Haven’t even looked at HD but my experience with them on small/specialty parts like this hasn’t been good. Heck, I can’t even drive to my HD and back for under 2 bucks in gas! I think 3/16” would work well. The 6-40x3/16” is a perfect fit. Glad you got the right one. Looks great!. After I put my sights in, I took a hammer and non-marring punch to the range to adjust the sight. I also brought a roll of masking tape to secure the slide while tapping. Once in place, then loctite the screw if desired. Thanks for the update. I always shoot a tad left. My issue not the pistol. Got a nice tight group while the pistol was bagged. I did put Loctite Blue on it before installing. Looks good! Was that divot there already on the PCR? 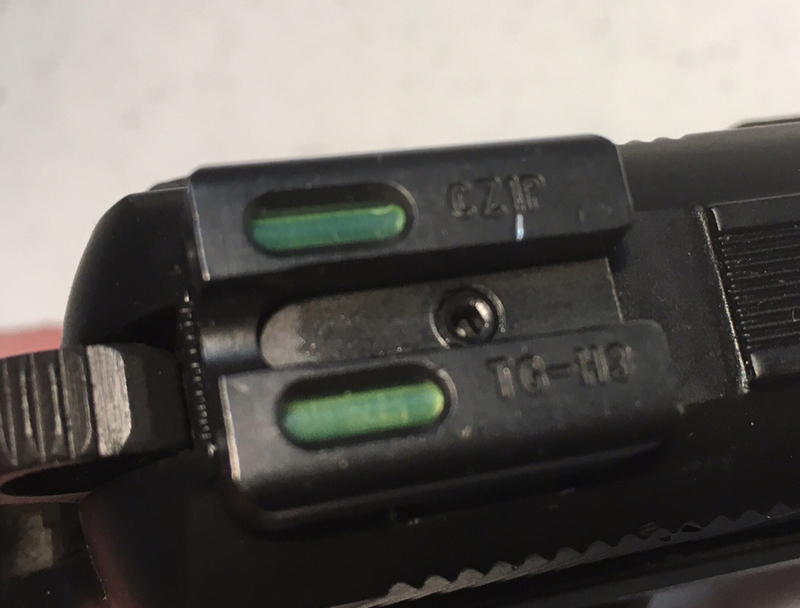 I put TFX Pros on my PCR but the rear sight set screw seems to be fine. I see. So the indicator that the set screw has lost the threading is that it never stops turning?